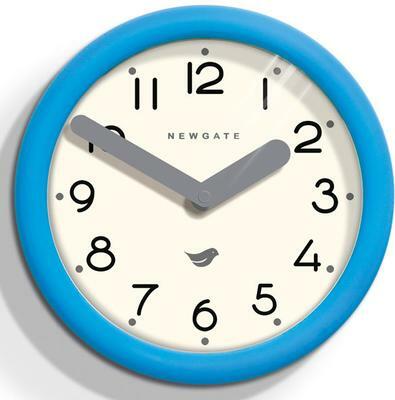 If you have sad bare walls that need some cheering up, the Newgate Pantry Wall Clock is just what you need! 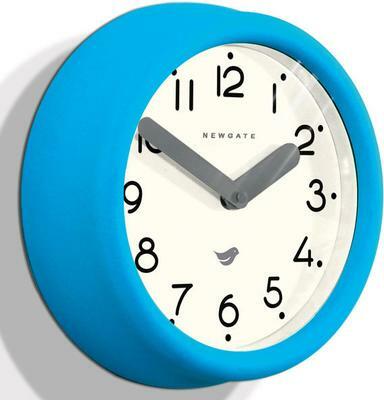 Decked in a gorgeous aqua blue colour, it is made with rubberized acrylic, glass and metal. The combination makes it a standout piece since it looks fun and playful especially when placed up on your wall. The clock is equipped with an white clock face and crisp black numbers all around it. You will also find grey clock hands right at the center so it's pretty easy to tell time even when you're rushing to head out the door. Perfect for kitchens, lounges, bedrooms and even living room areas, this clock will lift up your drab interiors and transform it into something more exciting.